Perhaps because I graduated from Colorado State with both my undergraduate and Master’s Degree, I tend to love weddings in the Colorado Rockies. Many happy years were spent there in that magnificent state. By now, because of the Telluride Film Festival, I am sure you have all heard of that wonderful city. However as wonderful as it is for skiing, the summers in Telluride are one of the loveliest settings for a wedding. 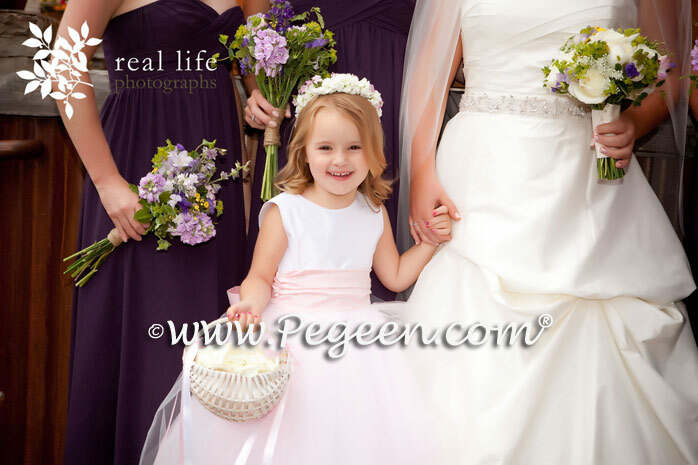 About a year ago, we made a lovely tulle flower girl dress for this adorable little toddler. 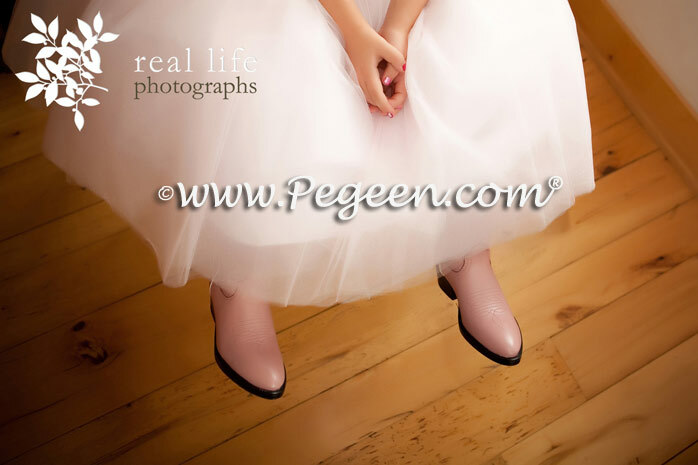 We layered the skirt colors in very pale pink so it had just a hint of pink in the tulle. 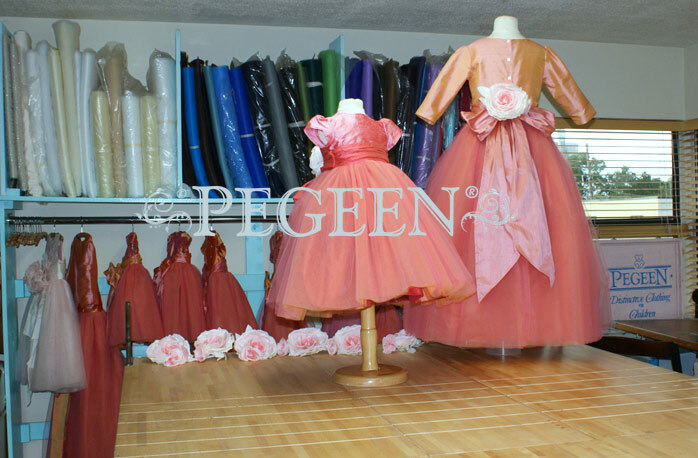 This Tulle Flower Girl Dresses of the Month in Petal Pink and Antique White is from our Pegeen Couture Collections style 402. 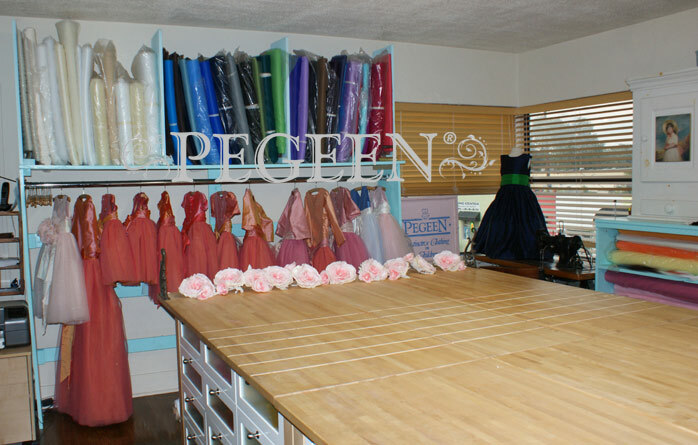 Other than layer with color, we added nothing extra to this dress. 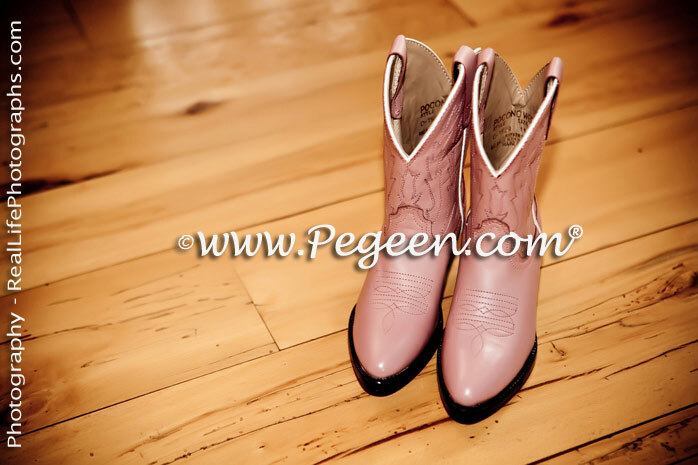 We were giddy when we designed it for our customer who wanted the dress pink color to match the cowboy boots. Man oh man, this customer REALLY wanted me to take notice. Pink and Cowboy Boots? WOOT! 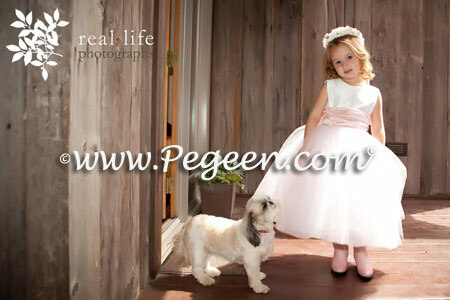 We hope you will visit our Pegeen.com website to view this and our many featured weddings.